Jewish Home, Kulanu cut deal on narrow 'Override Law' to enable government to circumvent Supreme Court ruling against deportation law. Prime Minister Binyamin Netanyahu’s two largest coalition partners have reached an agreement on legislation to override Supreme Court rulings, paving the way for a new deportation law aimed at removing thousands of infiltrators who illegally entered Israel prior to 2013. 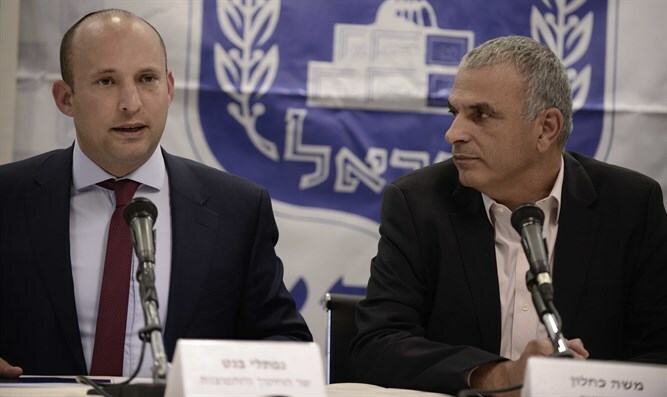 On Tuesday, the Jewish Home and Kulanu parties agreed to a limited version of the “Override Bill”, allowing the government to circumvent Supreme Court rulings against two different laws passed by the Knesset empowering the state to forcibly deport illegal immigrants. The Jewish Home, backed by some Likud MKs, have initially called for a broader law, allowing the Knesset to override any Supreme Court ruling striking down legislation. Kulanu objected to the move, however, saying the restriction on the court’s judicial review and judicial supremacy would be harmful to Israeli democracy. Under the arrangement reached by Kulanu and the Jewish Home, a new bill will be advanced allowing the Knesset to override the Supreme Court’s rulings against the deportation laws with an absolute majority in the Knesset of 61 MKs. If passed, the new law would enable the government to implement its plans to deport some 12,000 to 15,000 of the roughly 34,000 infiltrators who entered Israel illegally from the Sinai Peninsula prior to the construction of the border fence in 2012-2013. Some 60,000 illegal migrants, mostly citizens of Eritrea, Sudan, and Somalia, entered Israel during the 2000s and early 2010s. While thousands left under a voluntary self-deportation program, more than half remain in Israel, concentrated in a few urban areas, including southern Tel Aviv. Meretz chief Tamar Zandberg blasted the agreement Tuesday, accusing Kulanu chief Moshe Kahlon of “selling out” Israeli democracy.